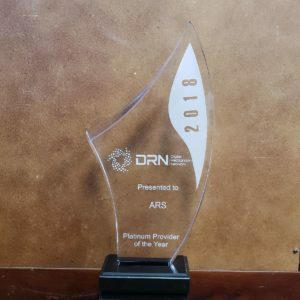 American Recovery Service (ARS), the original Nationwide Repossession Portfolio Management Firm, is the honored recipient of Digital Recognition Network’s (DRN) 2018 Platinum Provider of the Year Award. The award was presented to ARS during the annual North American Repo Summit (NARS) which was held in Fort Worth TX and hosted dozens of prominent industry leaders. For the second year in a row, through their dedication to excellence and drive to achieve record breaking results in both number of assignments and successful repossessions, ARS has earned the place of top provider. 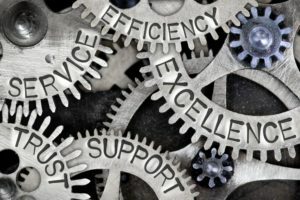 “With the highest number of total repossession assignments and successful repossessions, ARS continues to help set the standard for the industry. Their hard work and innovation drives results, including over 250, 000 auto recoveries for auto finance customers since 2009. We congratulate them on this well-deserved honor.” said Jeremiah Wheeler, EVP & GM FinTech at DRN. DRN is a leading provider of data and analytics to the Financial Services, Insurance and Asset Recovery industries. Our solutions enable our clients to more effectively optimize their portfolios, reduce losses, detect fraud, and manage risk. An industry pioneer in vehicle location data and license plate recognition technology and services, DRN covers every major metropolitan area in the United States and maintains the largest vehicle location database under strict standards of privacy, compliance, and data integrity. To find out more, contact media(at)drndata(dot)com, visit us online at http://www.drndata.com, or call us at (817) 877-0077.